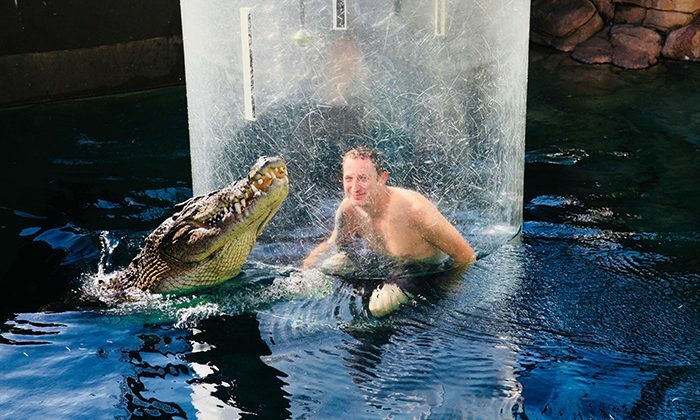 Located on Mitchell Street in downtown Darwin, Crocosaurus Cove is home to some truly massive saltwater crocodiles, including movie star Bruce (who starred in Crocodile Dundee), Axel, and the royal couple, William and Kate. After witnessing a feeding session and learning all about this apex predator, hop into the Cage of Death to be lowered into a pool for an unforgettable and distinctly creepy eye-to-eye encounter. Make no mistake, the crocs are curious because they want to eat you! 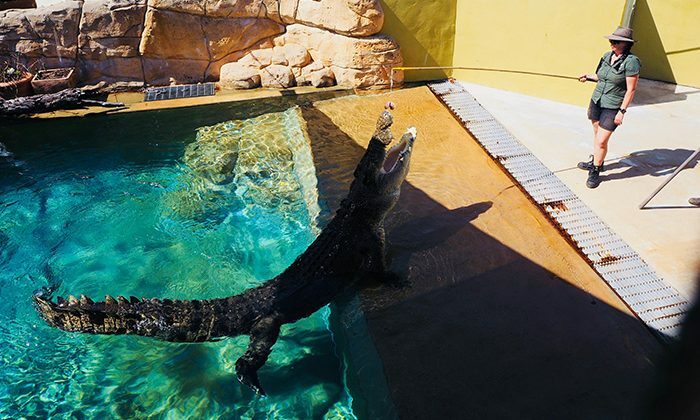 Crocosaurus Cove also has the largest indigenous reptile collection in Australia. Length of Trip : Plan about 3 hours for your visit. Your swim in the Cage of Death runs 15 minutes, factor a half hour for briefing and overall experience. Cost : Click here for the latest entry prices, including the Cage of Death. Best time to go : Open year round. Darwin is ideal mid-June to mid-September. Family friendly : The wildlife park is family friendly. Minimum age of 15 for the Cage of Death experience. Where to eat : We recommend breakfast at Ben's Bakehouse, lunch at Pee Wee's Patio and dinner at Char. Where to Stay : We recommend staying with our partner, the centrally located and spacious Oaks Elan when visiting Darwin. Getting There : Crocosaurus Cove is located in the heart of Darwin’s CBD at 58 Mitchell Street, on the corner of Peel Street. 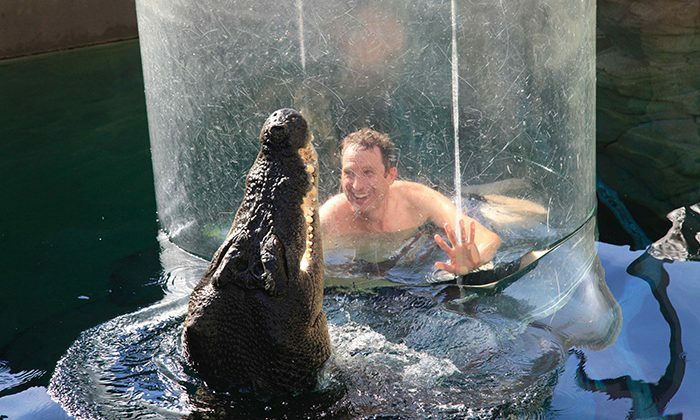 Note from Robin : Unlike cage swimming with curious Great White Sharks, these crocodiles actually determined to eat you. This explains all the scratches and scuffs on the plastic perspex. It's quite a thrill being this close to a 5-metre long ancient reptile nobody should ever be this close to. 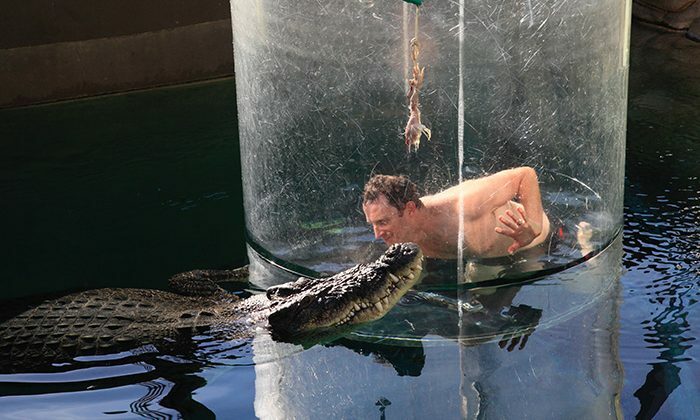 The Cage of Death is perfectly safe, and the photos taken by the on-site staff are keepers for life. 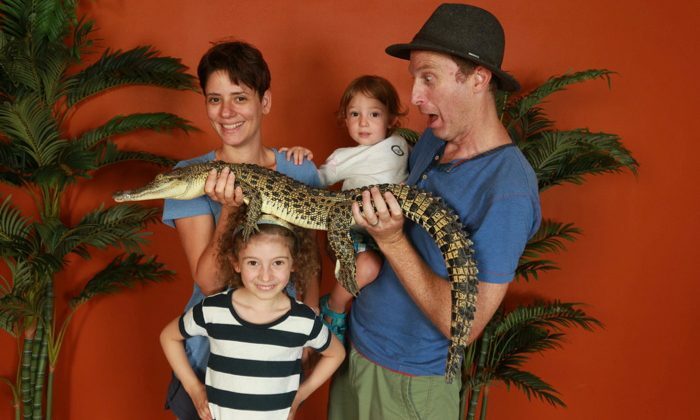 Don't miss the feeding sessions, or the chance to feed some of the baby crocs in an adjacent pool. These crocs are all rescues, well looked after, and too temperamental to see out their days on a crocodile farm. 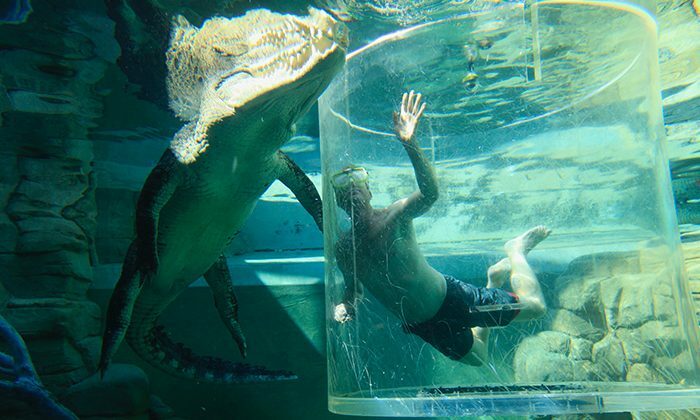 Does swimming with a crocodile belong in the Australian Bucket List?